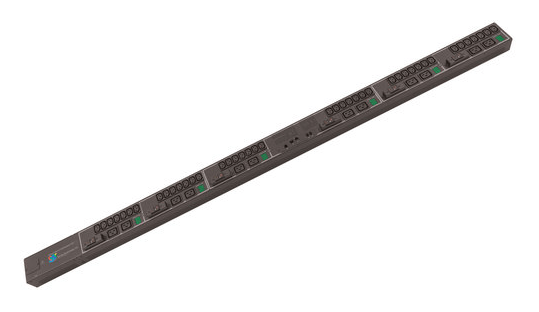 ServerTech Smart PDU with 42xC13 and 12xC19 sockets for vertical installation in a server cabinet and a local LED input current meter to monitor power usage and allow network engineers to optimise load profiles within a server rack and datacentre environment. The LED shows the true RMS power reading in Amps. 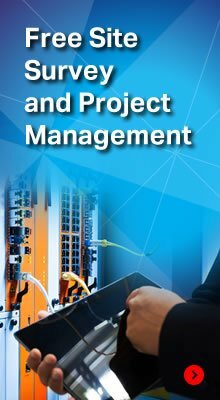 Built-in PIPS technology provides highly accurate current, voltage, active power, apparent power, power factor, crest factor, and accumulated energy measurements. 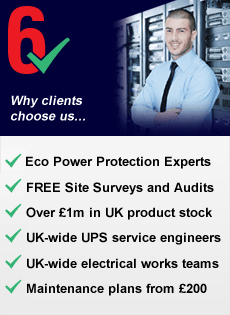 This power data (with temperature and humidity measurements; provided via optional probes) can be accessed via the built-in Web and CLI interfaces as well as SNMP. 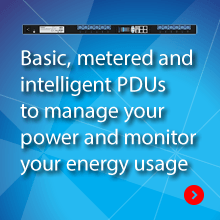 A Smart Master PDU can be connected to a Smart Link PDU to extend network access to a redundant or secondary power feed.